Receive exclusive benefits as a Lung Health Champion by committing to raise $1,000 or more. Your efforts help RHA promote healthy lungs, fight lung disease, and fund promising research to improve the quality of life of those living with lung disease. 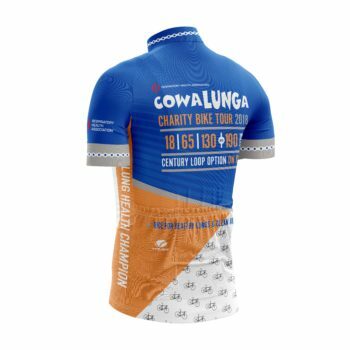 Any CowaLUNGa rider can be a Lung Health Champion. During registration, choose YES on the Lung Health Champion question. Standard registration fees apply and are due at the time of registration. 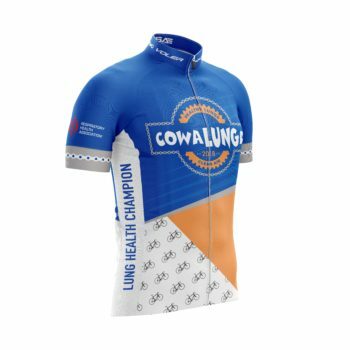 Individual riders, team captains, and team members can all be Lung Health Champions. Gift certificate to Wholly Cow Frozen Custard in Delafield, WI, a popular stop along the route on Day Three (certificates available for three-day riders only). Special recognition during the event. Invitation for you and a guest to RHA’s Annual Recognition Night in the fall. Please note, if you have not yet met the Lung Health Champion fundraising minimum of $1,000 by event day, you must provide credit card information at the start line check-in as indicated on your Promise to Pay form. After the fundraising deadline, if the minimum still has not been reached, you will be charged the difference between your current fundraising total and $1,000.